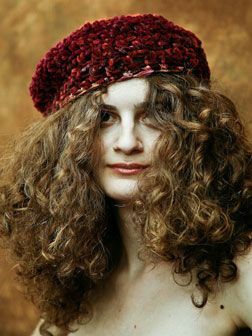 The most frustrating thing that people with curly hair experience is that once you put on a hat, helmet, hair band or any other hair accessory, you are committed to keeping it on. Otherwise, you will have a style disaster on your hands. Unfortunately, hair sprays, waxes, pomades and polishes are not effective for fixing curly hair styles. Tweek is specifically developed to rebuild broken hairstyles for these conditions. As no two curly heads are the same, the techniques needed for success with Tweek will vary from one person to the next. Tweek is effective on all categories of curly hair. Because of this, it is essential to understand how Tweek works and how it will work for you. For fine curly hair, it is all about rebuilding or “tweeking” your hairstyle, starting at the root area. Curly heads know that more movement will result in more volume. Tweek has a non-greasy formula that will allow you to apply it in small amounts to the root area and slowly create movement where needed to create volume. The focus is at the root area. Once you have dealt with the roots and worked Tweek into your hair, squeeze the rest of the Tweek through to the ends with your hands. It helps to flip your hair over forward to reach the scalp. Thick curly hair does not usually require extra volume. In this case, Tweek will control flyaway hair that pops up at the end of a day or on day two or three. At this stage, rub Tweek in between your hands and smooth onto the outer layer, flattening and controlling flyaways. For extremely thick hair use a generous amount and squeeze through to the ends as if you were going to make a pony tail, then let go and allow your hair to settle on its own. Wearing hats, helmets or hoodys: These are among the greatest offenders that will flatten curls and hairstyles. Make sure to have open fingers, use a large amount of Tweek and drag your fingers through the scalp area. Once at the root area close your fingers and make a tight grip at the scalp. Use a little bit of movement and you will immediately lift and fix your hairstyle. Ponytails : Curlyheads have a tendency to stretch their curls out when pulling their hair back into a pony tail. This weakens the curls, especially around the face area. In this case, apply Tweek throughout the full strand of the hair. Straight sections will require more attention. Squeeze your hair in your palm and hold for a couple of seconds, allowing time for the curl to reform. Hang your head over forward and squeeze the curls into place. This will give you the curl and style you are looking for. For extremely flat and overstretched hair, you will need the help of our Roller Jaw Clamps to reform your curl. Dampen your hair or the Roller Jaw Clamp and proceed with the Tweek application to create lift and support at the root area and fix your style.